JACO, COSTA RICA, April 6, 2019 /EINPresswire.com/ -- Spring Break – the time you’ve been waiting for is on its way at last! All those furtive mind trips you made while drowning in coursework – it’s time to make them come true. There’s no more time to lose. If you are tired of the done-to-death destinations and want to have a crack at something new, then look up Costa Rica. This little Central American paradise is where many spring breakers who seek a difference are making a beeline for. The first thing that strikes you on your Costa Rica Spring Break is the lush greenery – a sight for sore eyes, especially if you’re landing from a city with a fast-shrinking tree cover. It is home to 5% of the earth’s total stock of biodiversity – which is a lot, as you’ll soon discover once you set foot in this country. Another distinct natural feature is the volcano. Arenal Volcano, the most imposing of them all, Irazu Volcano, partially shrouded in clouds, and their surrounding craters are geological wonders hikers love to visit for an out-of-the-world experience. If your friends aren’t already green with envy at your Insta pictures with Costa Rica’s misty cloud forests or the Capuchins in the backdrop, they will go practically wild at your beach shots. With numerous gorgeous beaches and all the quintessential elements of a perfect beach vacation thrown into the pictures (surfing, paddleboarding, snorkeling, or just tanning yourself under the tropical sun), you can’t help hogging all the attention on social media. The best thing we love about the beaches in Costa Rica is that they are not all crammed with people as they are in Miami or Panama City closer home. You won’t be tripping over people or their surfboards because there is always some other beach you can get away to, based on the levels of human presence you can put up with. The weather will be a bracing 25C when you land. Although temperatures can vary throughout the country depending on the altitude, a beaming sun, and the soothing greenery will be a welcome break from the long and biting winter you had back home. Apart from the obvious contrast you find in the low rises, rolling mountains, and swirling greenery, Costa Rica will feel like a lot like home because of the sheer number of Americans living or gallivanting here. You will find sports bars where American football matches are watched and cheered as avidly as back home. 4. The vacation rentals are drop-dead gorgeous. 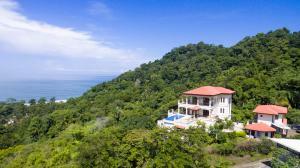 The Condos and Villas in Costa Rica will blow your mind with their sheer variety. You will be spoilt for choice if you start looking for properties with a specific checklist in mind. Ocean, mountain, forest views from your bedrooms? Agreed, you are not a tree hugger on a mission to save the planet nor are you seeking nirvana on your Costa Rica Spring Break. You just wanna have fun. Well, you’ve still come to the right place, because COSTA RICA IS PARTY CENTRAL. It’s a famous bachelor party destination, but since you are not bachelor party material yet, let’s focus on the general party scene here. In Jaco, the bars stay open into the wee hours of the morning with DJs rocking the night. There is plenty of flavorsome food and drinks to keep you going till you call it a night. Whether you are binge-drinking or just exploring the native flavors, try the local brew – the Guaro. Made from sugarcane, it comes at a price tad lower than your regular stuff but tastes just as good. 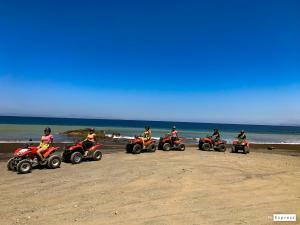 Explore Costa Rica on foot, in a boat, on ATV, or even a zip line! For instance, to appreciate the Monteverde Cloud Forests, you need to literally get on top of it and ziplining is the way to do it. Like modern-day Tarzan, you will swing from tree to tree, safely harnessed to a zipline. You will get a bird’s eye view of everything, including the birds flying below you.